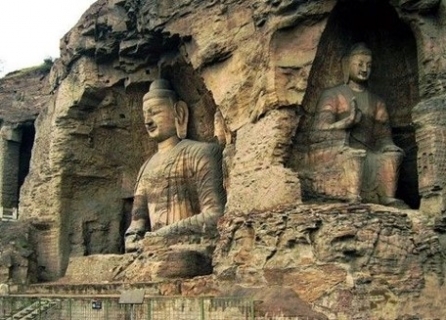 At Da Tong, you will visit Yungang Grottoes, one of the four greatest grottoes in China. The Yungang Grottoes were carved on the southern foot of a mountain and stretches for about 1kilometres (0.6 miles) from the east to the west. There are altogether 252 niches and 51,000 vivid Buddha statues. You will also get to explore the Hanging Monastery was constructed 1,500 years go and still hangs firmly on the west cliff of a hill with over 50 meters above the ground. - Hanging Monastery with over 1500-year history, first built 491 AD.